Anytime I watch a program like this that shows the potential of the body, I think of all the wonderful and amazing people I have met over the years since I have been Chi Power Training…. What really is the potential of the human body, mind and spirit? I use the body, mind and spirit, because they are all parts of our being at this point…..
What I have learned over the years, is that many things are not what they originally seem…When I first read about moving objects without touching them, I didn’t believe it to be true. Or when someone mentioned they had heard of an ESP type of event, I found it hard to comprehend…..
One thing I did, when I started this training, is I took the information I was given and started to cross reference it. I wanted to know if I was wasting my time, or could I really achieve some of the things I had read about…. I found hundreds of books on various subjects. I spoke with people who had themselves witnessed abilities that were above the norm. Once I could see that these things were happening to others. Why couldn’t I learn them for myself? I read books….Lots of books. I traveled to parts of the country to meet these individuals that could show me some real skills. Some of these I learned from, others I just took what they showed me and related it into my training. Think about this……If only 1/10th of 1 percent of the population has a tendency to have a Chi Power Skill above and beyond the normal person, there would be still be millions of people (assuming the population of 6 Billion) that have these skills…..That is a pretty astounding number, don’t you agree? What if, you could teach your body exercises that could re-train the body & mind to learn and become more than you could ever imagine? Could you have the belief and faith to go the distance? We are heroes, when we make our mind up to be one….When we decide that we will take the chance, invest the time into training and become more than what others might think we could be…. Listen up…. It took me 60 days to achieve that….. But, for 59 straight days, I couldn’t do it….I tried every day, but I was not successful! Will most people train 7 days a week for 60 days to see a result? Some will, some won’t and some will start, and then stop, start and stop again….Never putting in the time to get the goal…. The key for me, is I stayed in touch with my instructor and I trained every day, believing that what he told me was in fact true, and more importantly that I could do it…. Once I saw that little result, I knew I could continue on to get even better results…. I believe you can become more than you ever thought….A hero if you are willing to put in the time and effort to do some things that most people won’t, for a result that most people will never, ever get…. 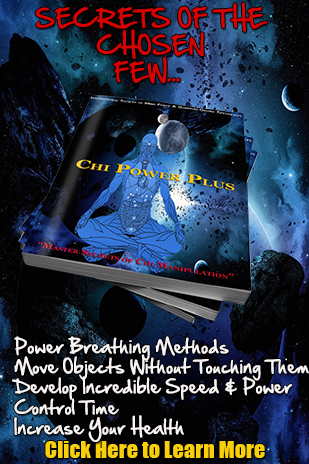 Look for our updated “Abilities of the Chi Power Practitioner” very soon…..